Aplus+ MEP - School of Technical Education and Research Center is a Professional Non Destructive Testing (NDT) Training and Inspection center, an ISO 9001:2015 certified institution with its headquarters at Coimbatore, Tamil Nadu, India, with branches at Trichy, Chennai and Cochin .Imparting NDT training and certification as per SNT-TC-1A of American Society for Non-Destructive Testing (ASNT) norms and also in the capacity of their corporate training partner. To provide effective, technology based training to budding engineering professionals, thus honing their skill sets and to transform them as technocrats with the competitive edge. To emerge as a knowledge provider par excellence, and be a platform for aspiring Engineering professionals to reach the summit. To ensure that Technical Knowledge is imparted to the student in the most easily accessible and cost effective manner and thereby ensuring total student satisfaction. Despite much publicity or promotions Aplus MEP has mainly through word of mouth publicity of its satisfied students witnessed a growth of over 1000% in 20 years. 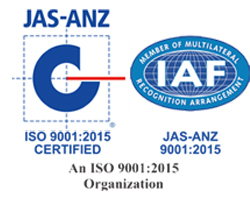 "Aplus+ MEp is an International Accreditation and Certification Center. Aplus+ MEP offers the ultimate training for ASNT NDT level I, level II, PCN NDT, Civil NDT, Welding Inspector, Painting Inspector, QA/QC, MEP/HVAC, API. 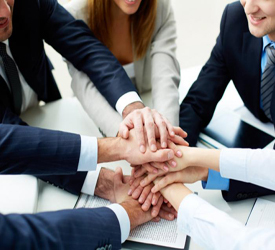 Courses are conducted by erudite and experienced ASNT NDT, PCN NDT certified professional trainers." 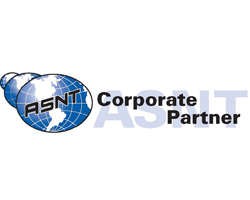 Aplus+ MEP has officially become part of the ASNT Corporate Membership, ASNT (The American Society For Nondestructive Testing) is one of largest institutions that has about thousand members around the world. A truly top notch infrastructure comprising of exclusive digital classrooms with 32” TV, LCD projector based classrooms & spacious labs equipped with 19” LED Monitors supported with the state-of the art teaching aids constantly upgraded to live up to the expectations of the prevalent industrial standards. Offers opportunities for all the students to interact on a consistent basis with Industries by way of visits to many renowned companies. .
Aplus+ - School of Technical Education and Research Center is a Professional Non Destructive Testing (NDT) Training and Inspection center, an ISO 9001:2015 certified institution with its headquarters at Coimbatore, Tamil Nadu, India, with branches at Trichy, Chennai and Cochin .